The mission of the McMinnville Winegrowers Association is to build the reputation of the vineyards and wineries within the McMinnville AVA. 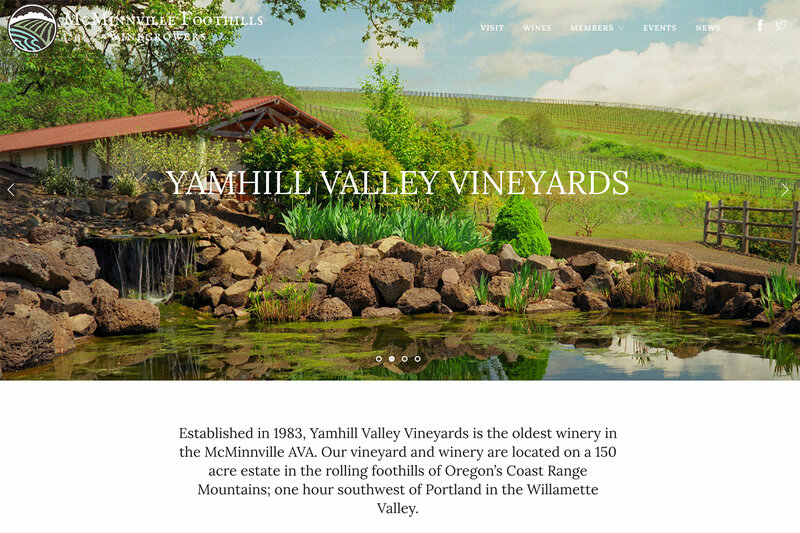 In early 2016, the core winery members of the McMinnville Winegrowers Association hired Vinbound Marketing to develop a new association website and take over management of our social media accounts. The new website was completed in May 2016 and has since become a valuable asset for consumers visiting our region and the general public seeking information about our wines. 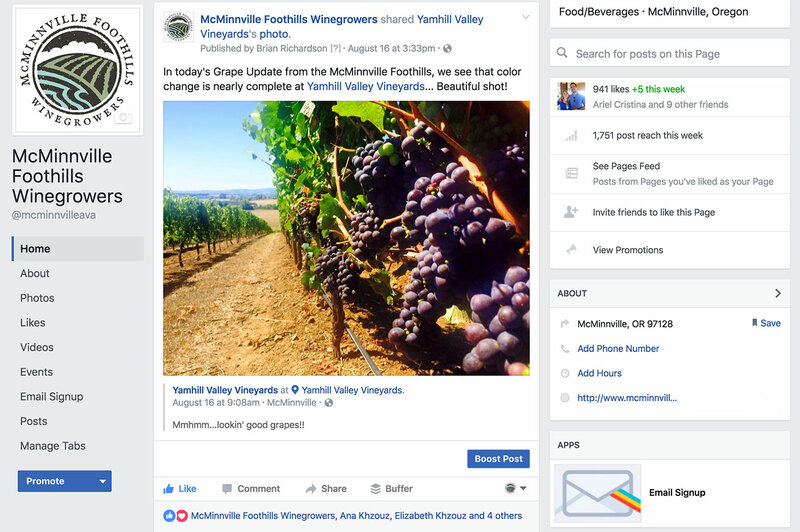 As part of our continued growth strategy, we now are opening up the McMinnville Foothills website and social media to include all wine-related businesses operating in the McMinnville AVA (not just wineries with a tasting room). Vineyards, tour guides, and wineries who source fruit from the AVA all have an opportunity to become members of the association and benefit from our marketing platform. 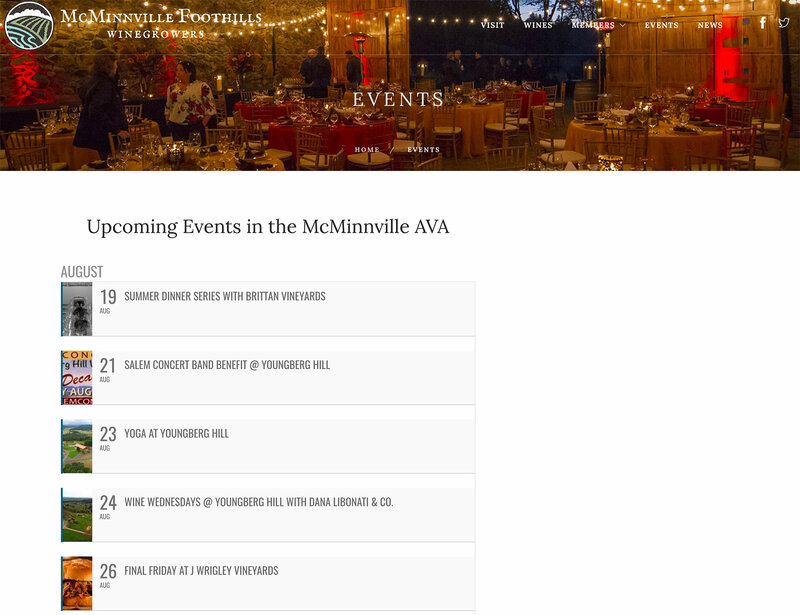 All members are included on the McMinnville AVA website, with variances based on the membership type. 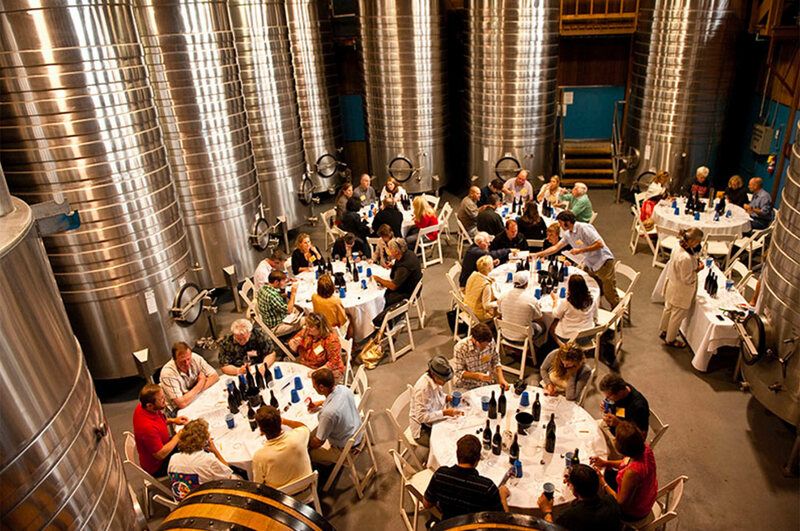 Wineries with a tasting room within the AVA have a dedicated profile page under the Wineries section. Vineyard members have a dedicated profile under a dedicated Vineyards section (coming soon). An interactive vineyard map is also in development for this page. 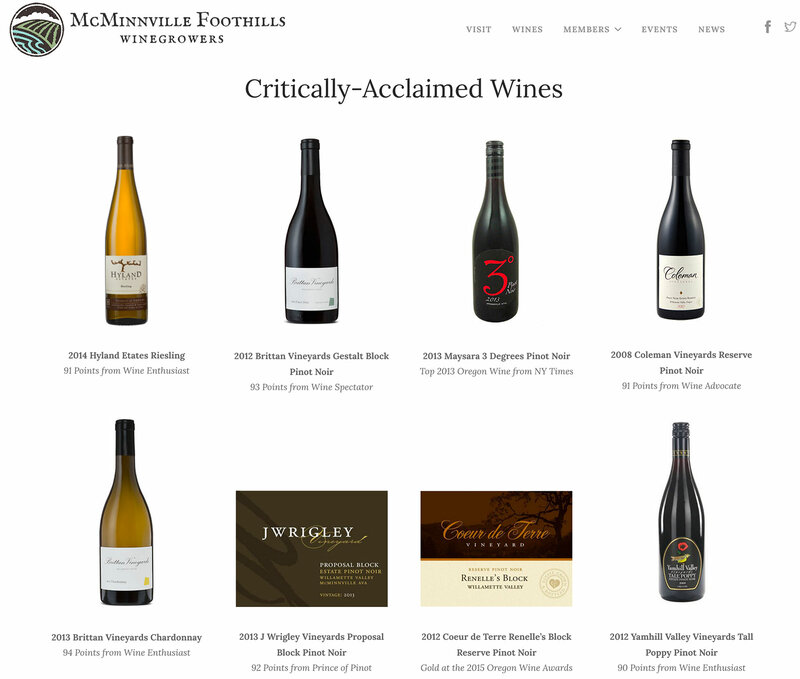 Any winery or wine brand that produced wines from McMinnville AVA fruit and received critical acclaim may showcase their wines on the Wines section of this website.